It’s easy to overlook your garage door when you’re thinking about renovating your home because—let’s just admit it—spending a lot of time or energy on your garage door does not rank high on the list of “fun home renovation projects.” But remember, garage doors maintain the look and feel of your home. Your garage door should neither bore you to tears nor should it cry out for attention. When done right, the garage door keeps the look and feel of your home consistent. 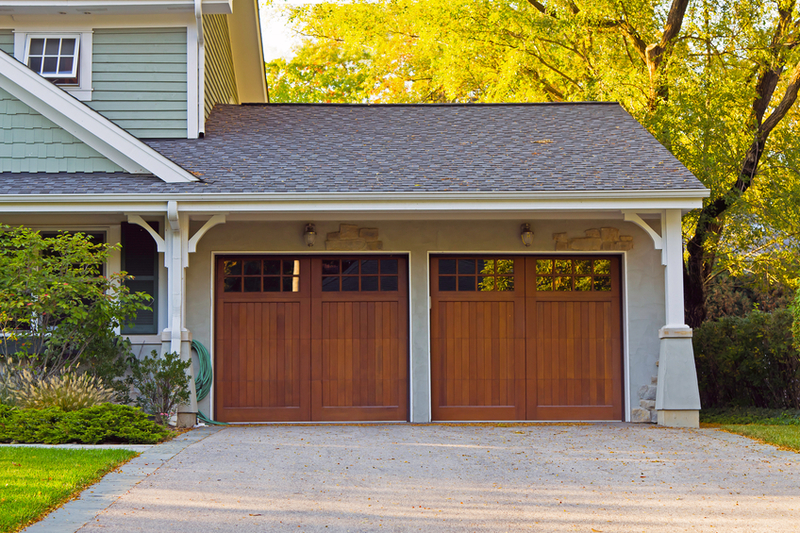 There are several ways you can update your garage door for instant curb appeal, and they can be as simple as a fresh coat of paint or just adding new hardware. These are meant to be quick and easy projects for your garage door—projects you can tackle in a weekend. If you have bigger home renovation projects planned, like re-doing your driveway or installing windows in your garage, do those first so nothing damages the work on your garage door. 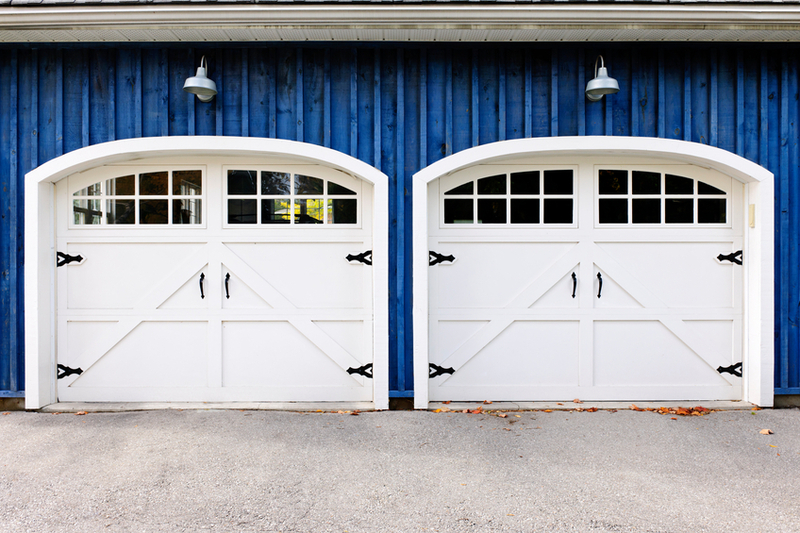 Perhaps the easiest way to update your garage door is to repaint it. The first step to repainting a surface, though, is to remove any flaking or chipping paint. Your new paint or stain will last longer if you apply it to a clean, dry surface. If you have a metal garage door, don’t use sandpaper. Instead, use a household cleaner diluted with water and a soft bristle brush to prepare your garage door. Make sure it is dry before starting to paint. If you have a wooden garage door, you’ll want to use a paint scraper to remove the old paint. Use a sander to smooth rough patches on your garage door and then clean area with a degreasing solution. After you’ve prepped your garage door, it’s time to paint! Choose a complementary color to your home’s aesthetic. If you’re unsure about what color to paint your garage door, take inspiration from your home. What will complement your home’s style without drawing attention away from your architectural design? Once you’ve decided upon a color, you can use a roller brush or paint sprayer to apply the paint. Paint as many coats as necessary— usually about two. Keep the coats of paint thin and even and allow them to dry completely before adding another. 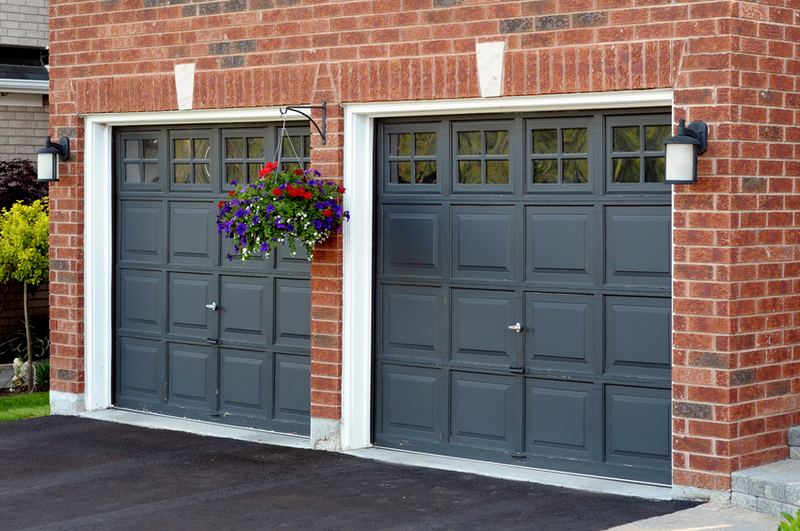 When re-painting, don’t forget about the trim around your garage door. It may seem easy to skip this step— especially if the trim is the same color as the garage door—but it would be a mistake to do so. If your trim is chipped or cracked, and you’re already repainting your garage door, you should absolutely repaint the trim. If you prep the trim at the same time as the garage door, it will save you time in the long run. Another option to update your garage door is to finish your garage door with a faux wood finish. It’s a gel stain that makes it look like your garage door is made of solid wood. Follow the same directions to preparing the area and apply about two coats of the stain. Carriage house doors are popular options for garage doors and only require the addition of hardware to create the illusion that your garage was once a carriage house. This is a great option for homes in neighborhoods where families once required carriage houses for their horses. To create this look, add hardware on each side of your garage door to look like carriage door straps. You can also add faux door handles to the center of your garage door to make it look as if your doors open out from the middle. If your home has a garage with windows, or if you have faux windows on your garage door, you can create visual interest by adding trim to the windows. This creates more panels per window. If you add trim, you have the option of either painting the trim to match your garage door exactly, or choosing a complementary color. One of the most overlooked yet easiest ways to improve your curb appeal is by ensuring that your landscape is well maintained. Keep it pruned, especially around your garage door, to prevent overgrowth and keep the visual lines around your driveway sharp. If your yard looks good, then people are more inclined to overlook entryways and garage doors that haven’t been updated recently.